The Ghia limousine was all new for 1957. 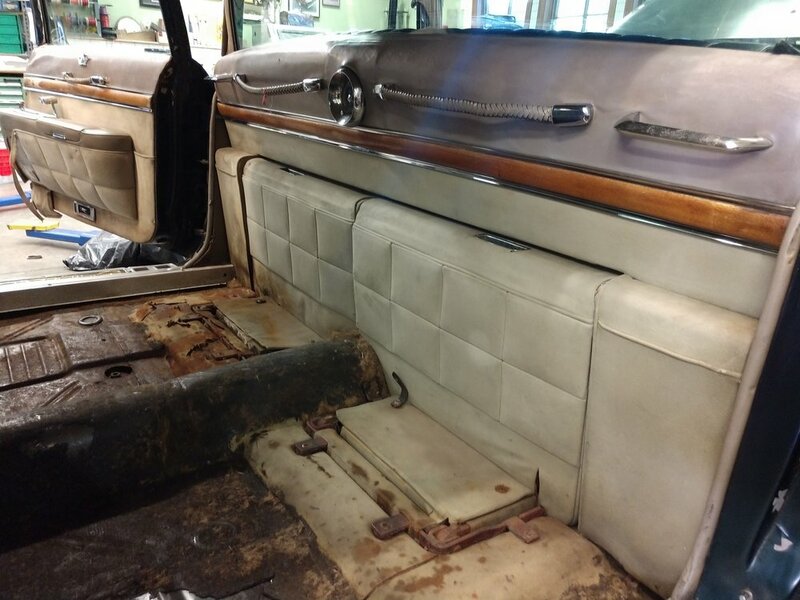 It’s intention was to add status to the all new 1957 Imperial by having an exclusive Italian bodied car from one of the world’s most renowned builders. There were just 36 of them built and were incredibly expensive for the day. This Ghia has features that lead me to believe it was a well used and privately held car that was modified to the customer’s tastes. First and foremost is the green paint. I don’t believe it came from the Ghia factory originally, however, it was applied when the car was fairly new. 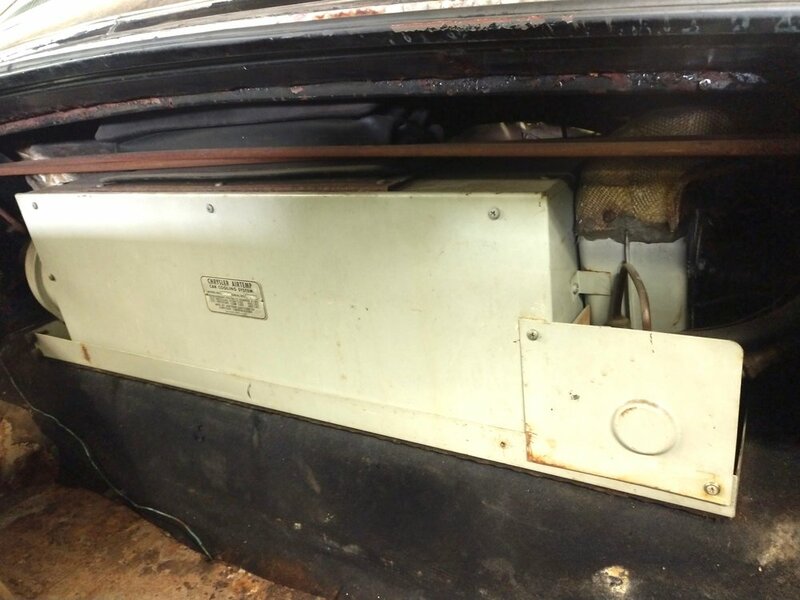 An under dash inspection shows original black paint. Evidence of the white primer beneath the paint that has popped off in sections of the car is typical of Ghias. The cars during the painting process literally had too much primer applied in an effort to make them completely flat. I think they went overboard or the products back then were substandard to today’s paint technology. All Ghias with original paint exhibit this delamination. Even if the cars were kept in a climate controlled environment the paint would simply pop off in various areas. Of special note on this car is the drip rail system. Ghias had an internal drip rail system that consisted of hidden troughs that drained through tubes concealed within the car, draining out the bottom of the vehicle. The system did not work all that well and tended to create rust in the car. This car has a well crafted add-on drip rail system that is screwed to the roof. The other exterior modification is 1959 fender trim and a set of body side moldings found on normal Imperials but not on Ghias. 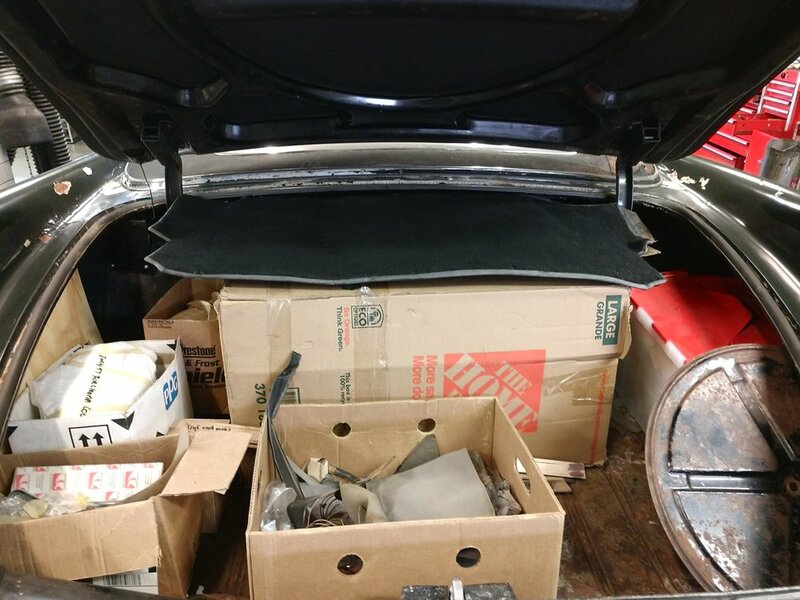 This car was probably involved in an accident that wiped out the Ghia front fender trim, however the fenders appear to be the ones that originally came on the car. So whether the owner chose this trim out of necessity or preference is up for debate. 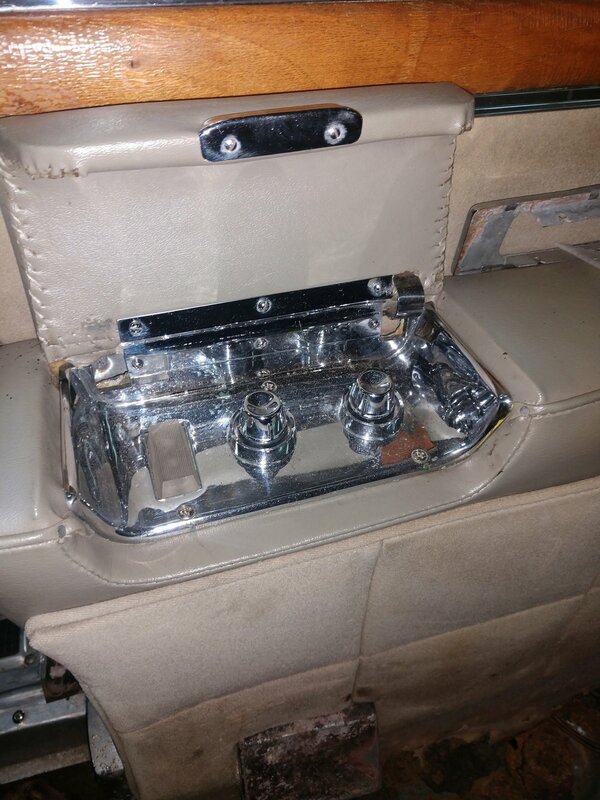 On the interior, when I purchased the car it had a dash mounted divider window switch and an accessory flasher wired into the car. 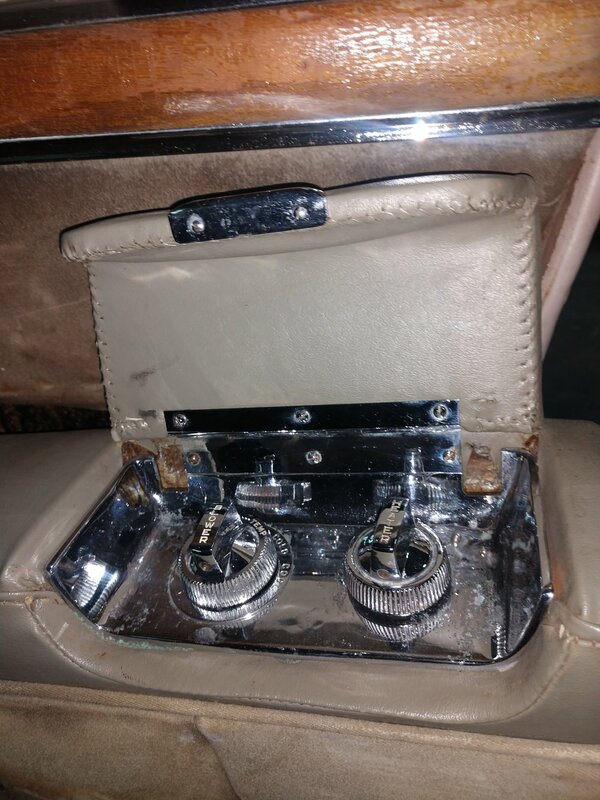 The front seat was also modified by the previous owner. It was raised and over-stuffed to allow for a chauffeur with longer legs. Of note on the interior is the “Narrow Wood” style. The 1957 rear door has a crown in it which is Ghia produced, but not in 1958. The crown has silver soldered studs and no Chrysler specific identification on the back, making it a custom piece. I used this Ghia as a practice car and test subject for the complete restoration of my 1958. This car came to me, as most Ghias do, with many missing original parts, poorly maintained, and not running. 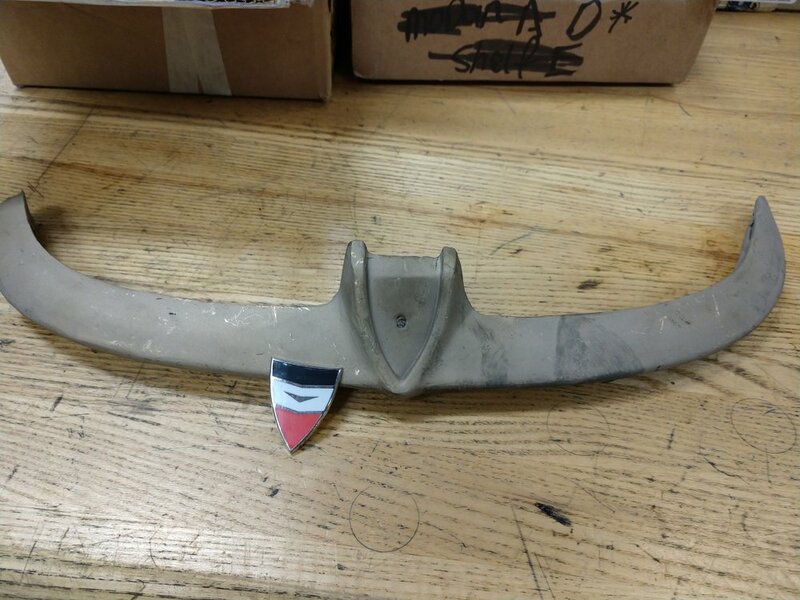 I purchased it as part of a package with another Ghia and a pile of miscellaneous Chrysler parts. In fact, this was my first Ghia purchase and disassembling and working on it taught me a lot about what these vehicles are. Ultimately I chose to restore my 1958 but many of the skills I learned I applied to this car as well as all my other Ghia’s. 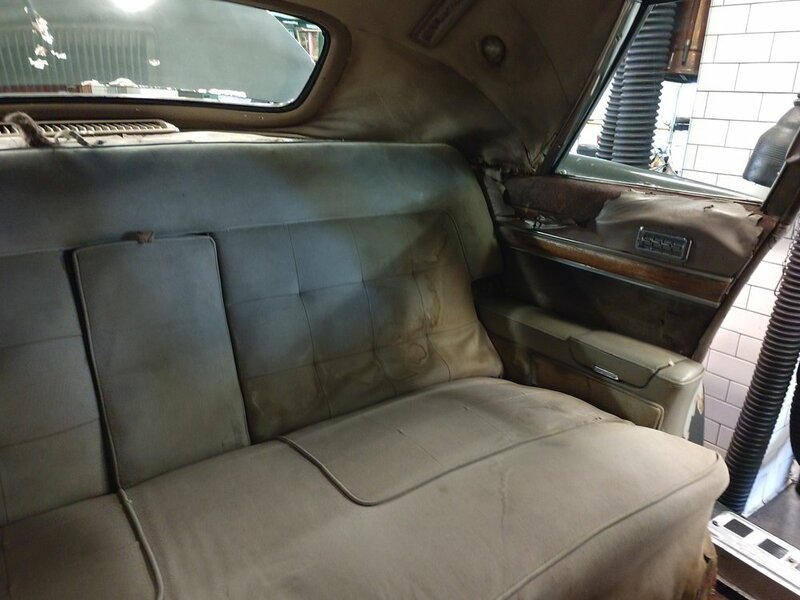 This car is need of complete restoration and has quite a bit of rust in the trunk, the rockers and the roof. None of that is unusual for a Ghia limousine. 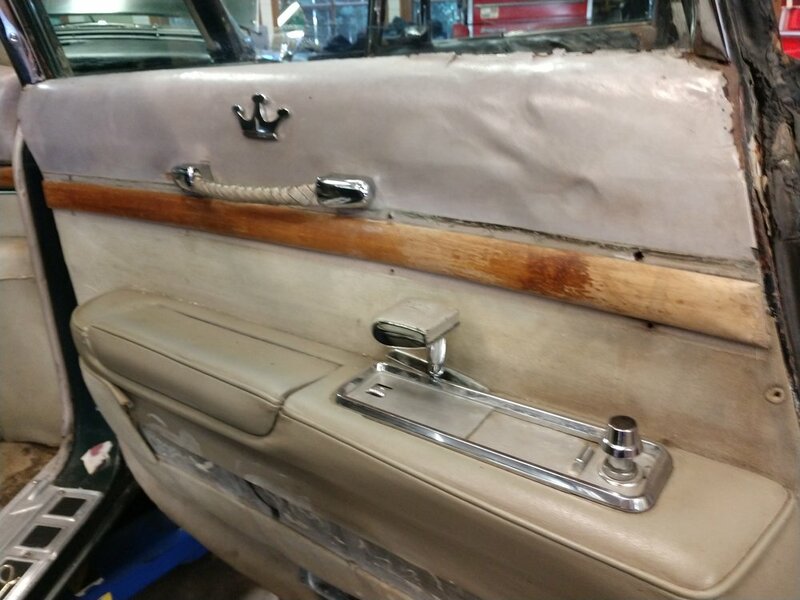 Supplied with the car is a complete 1957 LeBaron. 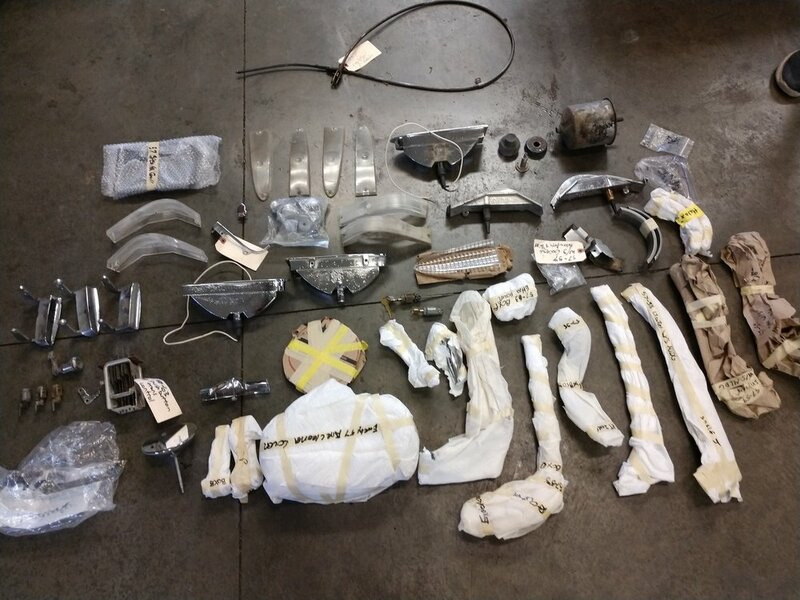 It is much more than just a parts car as it runs and drives very well. 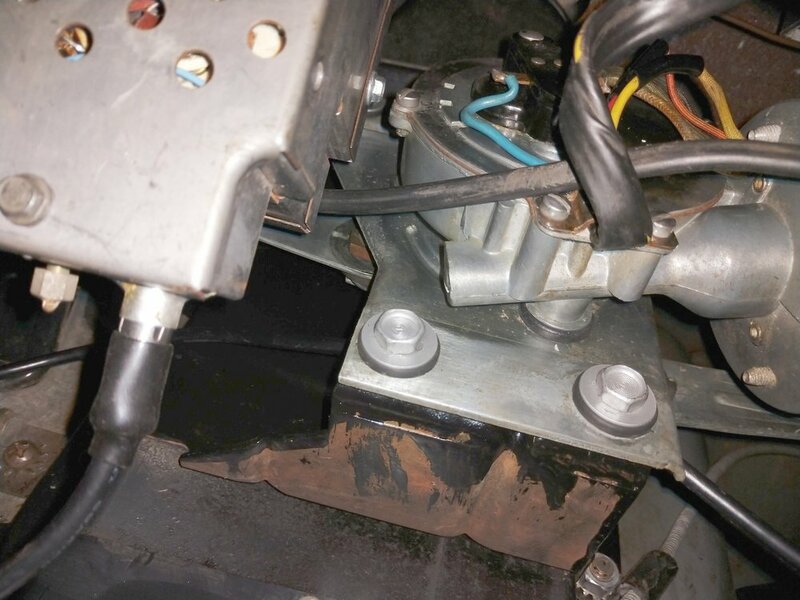 However, it has the trunk floor in it that this car requires and possibly other required parts but not all. Also included in the sale is a complete set of reproduction side glass. 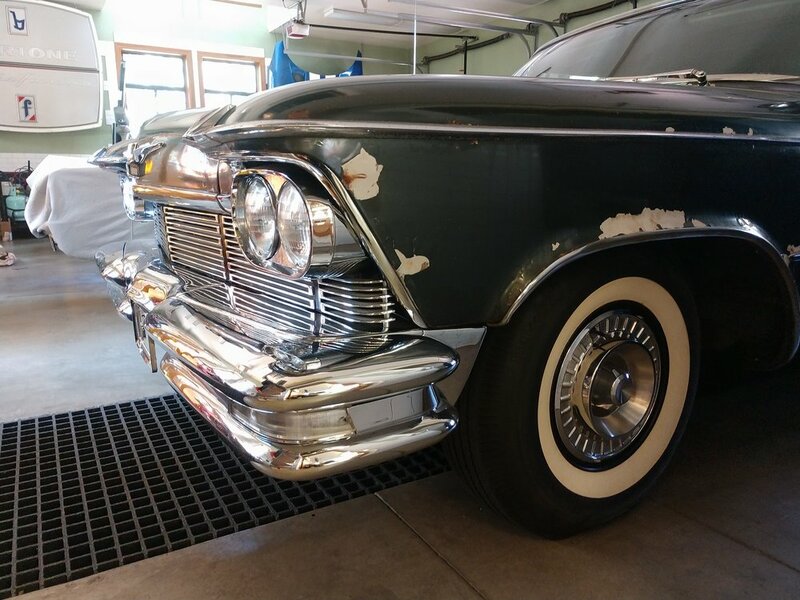 What’s wrong with the car: it needs a complete restoration. 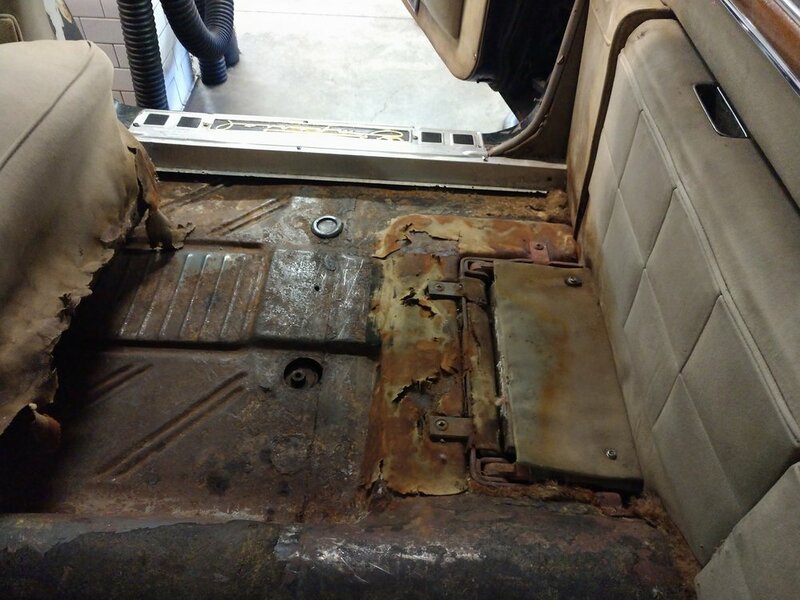 It is very rusty and will need extensive metalwork (trunk floor) to make it right. The Ghia specific back-cut halos at the tail lights are not included and the horizontal trim at the tail light is missing. The antenna quit working but a replacement is supplied. The front fender trim that is on the car is incorrect and so are the front fender side moldings. The reproduction pieces that I’ve supplied will need to be fit, polished and then chromed. Many other items that are common with a restoration.